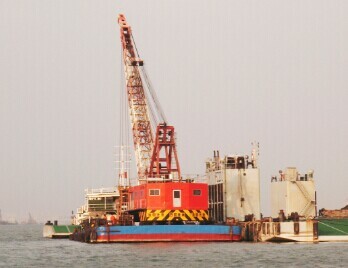 Application：Non propelled marine engineering pontoon crane, Marine platform offshore support, lifting steel structure cross-sea bridge and offshore accommodation support. 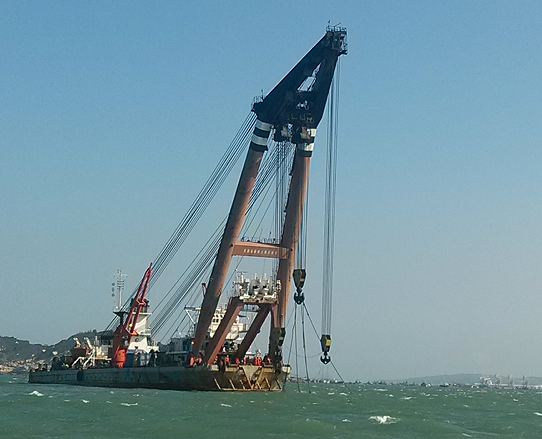 Application：The span from crane boom to cabin is 3.68m, the height from main deck is 2.3m, crane boom is 24m length, hoisting speed is 5.2-6.8m/min, 1.5rpm, equip with a 6m³ grab bucket, made in Japan, effective in navigation channel dredging and lifting operations at sea. 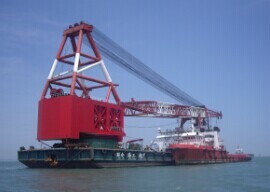 Application：Non propelled floating crane, mainly used for marine engineering such as heavy lengthy cargo lifting, salvage wreck removal, offshore and diving support, port channel and coastal engineering.